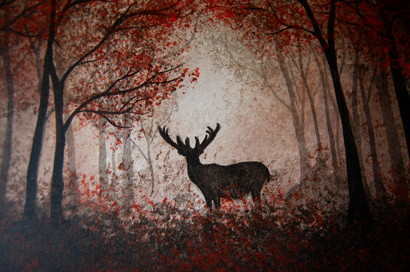 This Beautiful Painting depicts a Warm and Misty Autumn Forest scene with a Majestic and Noble Stag at its Heart. 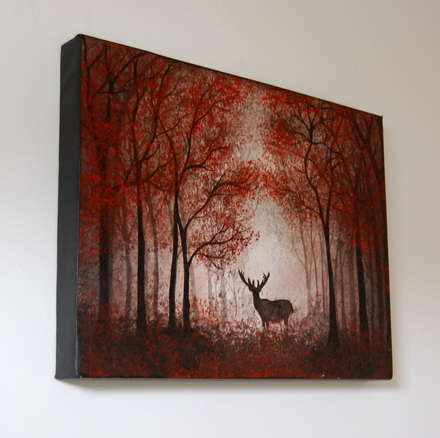 The Canvas Measures approx 15 3/4" (40cm) by 11 3/4" (30cm) and is 1 1/2" (4cm) deep. 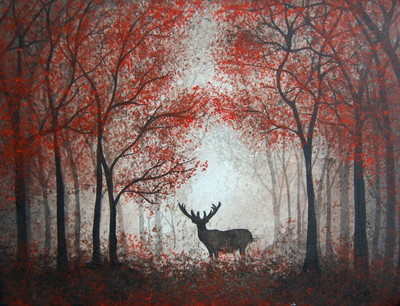 It has Painted sides and does not need to be framed.